I’ve never been good at dealing with stress. In high school, I used to pluck out my own eyelashes. That’s how bad I was at dealing with stress. I took my social studies final with a wet paper towel over my eye because I was convinced it would block out any allergens. That’s where I was in my life at that time. I had no idea how to cope with stress, so I just developed really unhealthy habits. Everyone knows that they should deal with stress, but knowing what you should do and actually doing it, are two very different things. It’s probably more aptly put to say that stress is the body’s response to any demand. Your response to stress is the same despite whether or not the stress is all in your imagination. The American Psychological Association conducts an annual stress survey each year to which they almost always find that surprise, surprise, everyone is really stressed the hell out. Acute: This is the most common form of stress, which people easily recognize. This kind of stress is short-term and stems from demands or pressure we feel from the recent past or near future. This kind of stress, however, can be exciting like playing in a soccer tournament. Episodic Acute: This kind of stress occurs most often in people who overextend themselves on a consistent basis. They live from crisis to crisis. They are usually in a rush and almost always trying to play catch up. Chronic: This form of stress comes from traumatic experiences that are difficult for the individual to escape. People who experience chronic stress often take it on as part of their own identity and find it difficult to escape. This kind of stress is the most dangerous for our body and mind. This happens very, very quickly. Your body responds to a stressor before your eyes can even finish processing what is in your visual field. A single neuron in the prefrontal cortex can respond to a stressor in .12 seconds. To contrast that, it takes your brain .15 seconds to process an image. Once your body has sent a distress signal your Sympathetic Nervous System (SNS) kicks in—aka—the fight-or-flight response. 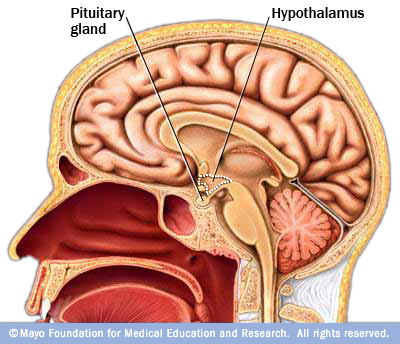 This triggers a response in your adrenal glands (which sit right on top of your kidneys). It takes far less time for your body to respond to a threat than it does for your body to come down from it. The Parasympathetic Nervous System (PNS) is responsible for applying the brakes once a threat or danger has subsided. Adrenaline isn’t the only hormone to be released during a stressful event though, there’s also cortisol. 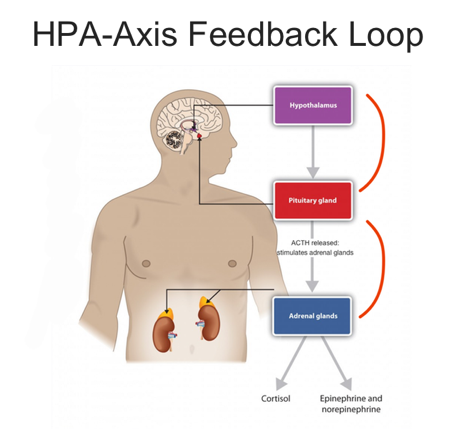 Cortisol is regulated in the body by the hypothalamic-pituitary-adrenal (HPA) axis. The HPA is the second component of our stress response system. Can cause a disruption to the circadian rhythm, or your sleep/wake cycle, due to hormones being released at the wrong time of day. Weakens and depresses the immune system by ‘aging’ immune cells. That’s why chronically stressed individuals experience problems with fighting. Can overwhelm the hippocampus (learning and memory center) and cause it to shrink. This makes it difficult to form new memories or recall old ones. The more cortisol your body produces, the more difficult it is for your body to gain control over cortisol production. Can also shrink neurons in the brains Prefrontal Cortex (PFC) which is responsible for problem-solving, adaptation, and emotional regulation. This doesn’t begin to scratch the surface, there’s stress induced: anxiety disorders, mood disorders, heart disease… a veritable cornucopia of health issues caused by stress. Now that I’ve successfully increased everyone’s stress level, let’s figure out how to prevent is from destroying us? You might think this would go against logic, but alas, you would be wrong. It’s the double negative effect of stress (that’s not actually a thing, I just made that up). Sharing your feelings with someone who is in a similar emotional state with you helps to buffer some of those stressed out feelings you have. Researchers found that individuals who shared similar stressors had reduced levels of cortisol in their system after sharing their feelings and emotional state. Chronic stress makes it difficult for us to solve problems and hampers our creativity. Researchers at Carnegie Mellon University found that just writing some self-affirmations you can help offset the negative effects of chronic stress. By affirming some of your personal values you can lower your cortisol levels. Self-affirmation helps to stabilize our sense of self—whereas stress can represent a threat to the self. We can reinvest our positive self-resources (self-esteem) to help us mitigate the psychological and physical damage stress causes. But even the anticipation of laughter can help reduce your stress levels. When we expect a positive event, like laughter, three levels of stress hormones are reduced. Researchers found that when we anticipate laughter our stress hormones reduce by a pretty significant amount. The study participants cortisol levels decreased by 39 percent and epinephrine by as much as 70 percent. This is perfect—especially for me—as I laugh at my own jokes 100 percent of the time. Though I’m not sure that counts. You know how at the end of every Full-House episode there was usually a hug? Well, Danny Tanner and co. may have had the right idea. Hugs help to reduce cardiovascular stress, improve our immune system, and encourages the release of the hormone oxytocin. Oxytocin is responsible for bonding, sexual pleasure and a mess of other human behaviors. Hugging promotes such a positive response within the body that it can reduce our physical perception of pain—which is why your parents kissing your scraped knees really did seem to help. I know you’ve heard that working out helps to reduce stress, but have you ever wanted to know why? Exercise helps protect the brain from anxiety-inducing effects of stress by increasing GABA receptors (or chemical messengers) in the hippocampus. GABA inhibits the brain’s ability to produce what would be your normal stress response by blocking those receptors in the hippocampus. To get the maximum benefits of this, you’ll have to exercise for longer than a day (think at least a month here). There are many, many, many other ways to reduce stress, but these are some that I use to help me deal. I now try to manage my stress in more healthy ways. 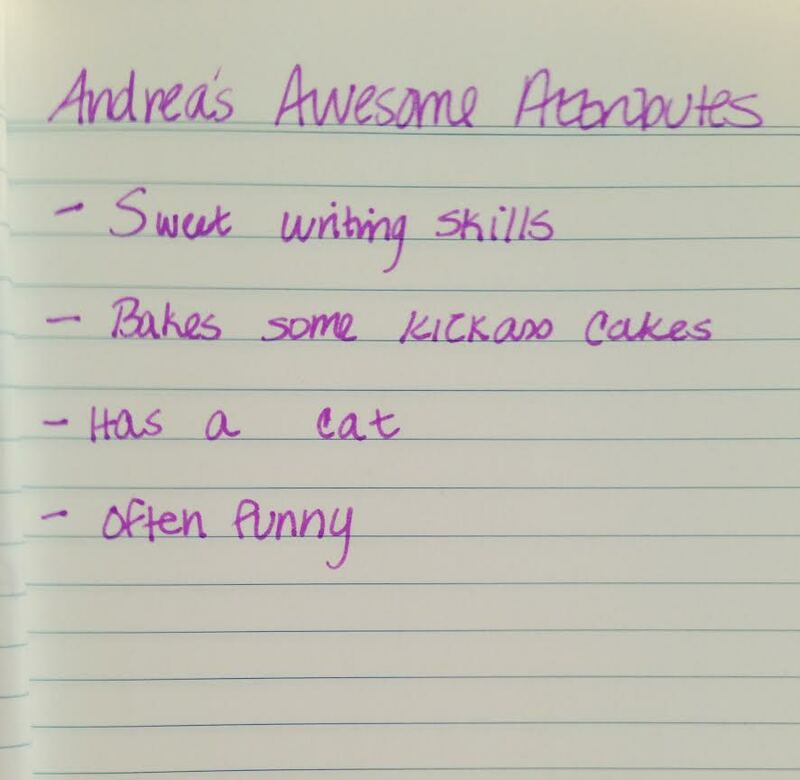 I bake, I run, I make myself laugh by posting things to Twitter that only I find amusing. I have an arsenal of stress reducing techniques up my sleeve. I know I can’t be successful at reducing my stress 100 percent of the time, but just knowing that I have some tips to fall back on makes dealing with stress a helluva lot easier.